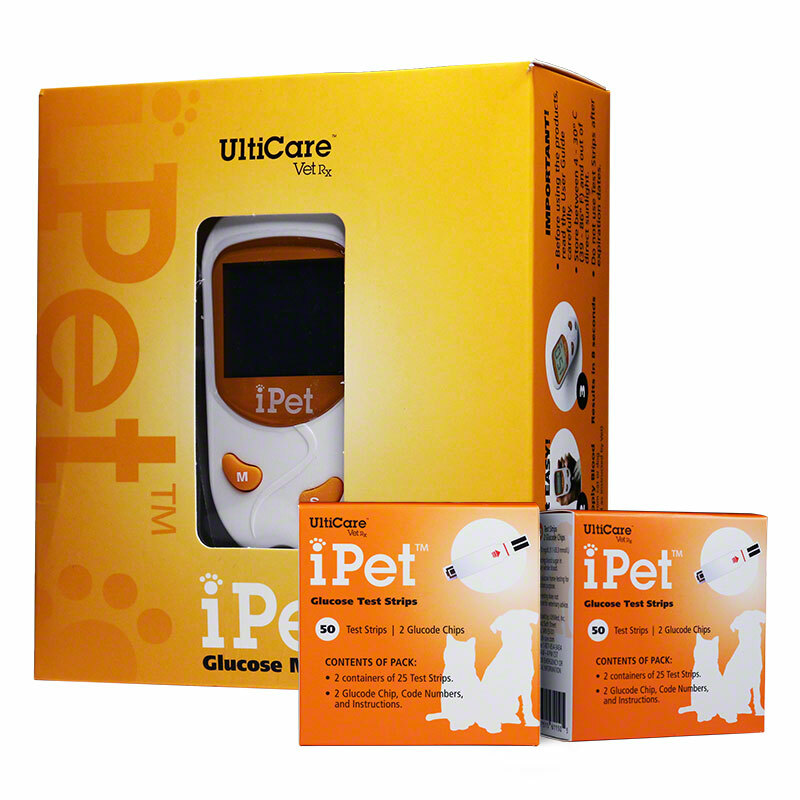 UltiCare VetRx® provides quality pet diabetes supplies including UltiCare Pet syringes, the iPet Diabetes Glucose Monitor and iPet diabetic test strips. UltiCare developed the proprietary UltiGuard™, packaging insulin syringes with-in a dispenser and disposal container that is less expensive than the leading brand insulin syringe. 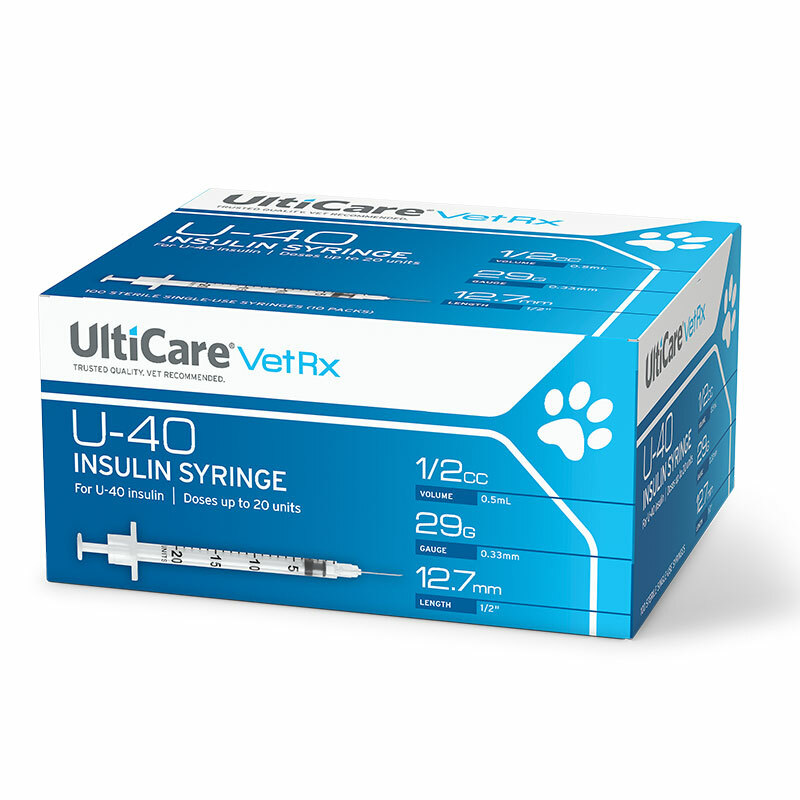 UltiCare insulin syringes are available in two sizes: U-40 syringes and U-100 syringes, and in various gauges and box counts. 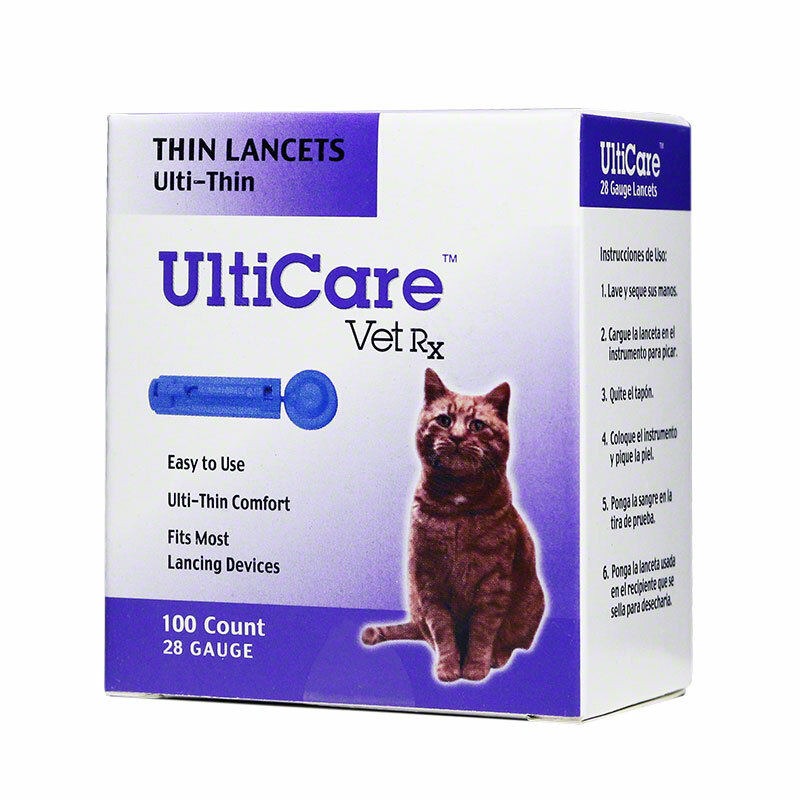 According to Gary Edelson, DVM, in his article, "Pet Syringe How-Tos", “A U-40 syringe has 40 units ('pieces of insulin') per mL and a U-100 syringes has 100 units ('pieces of insulin') per mL. This means there is approximately 2.5 times more insulin ('pieces') in a unit of U-100 insulin compared to U-40 insulin or to put it another way the same amount of U-100 insulin is 2.5 times stronger than the U-40.” Speak with your veterinarian to determine which is the best syringe for your pet. ADW Diabetes® is committed to Keeping Diabetes Management Affordable for everyone, including our furry friends who have diabetes! 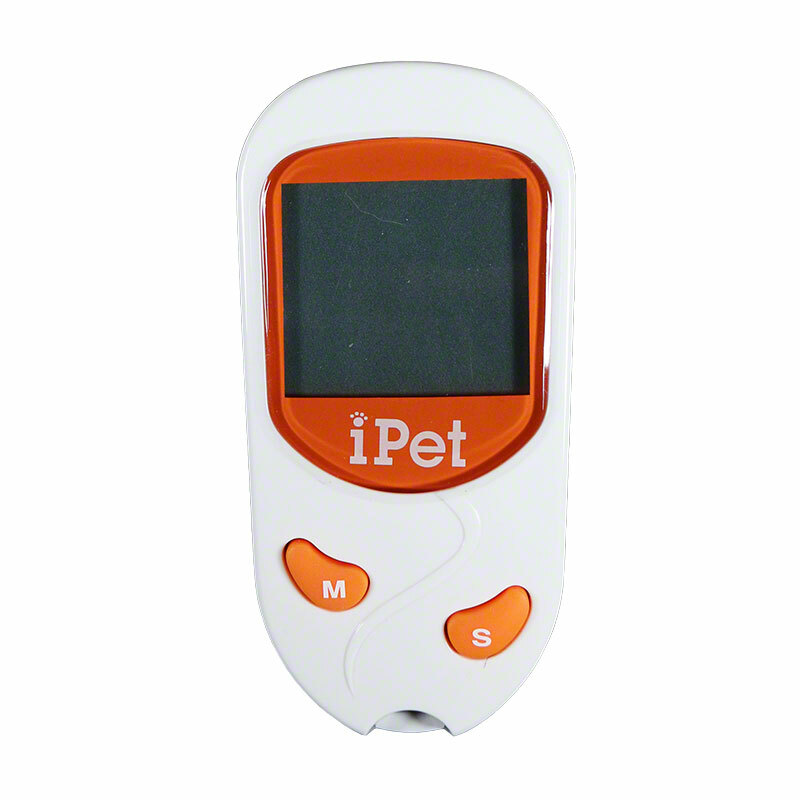 Shop and save on pet diabetic supplies.